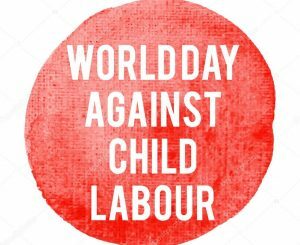 Today is World Day Against Child Labour, a day to shine light on the need to put an end to Child Labour and to demand safety and protection for children across the globe. Nelson Mandela famously said “There can be no keener revelation of a society’s soul than the way in which it treats its children.” With these wise words in mind, it prompts us to consider our global society and reflect on the changes that we need to see to live in a world where the health and happiness of our society is prioritized ahead of profit or economic gain. The International Labour Organisation (ILO) estimates that 168 million children are trapped in Child Labour, working in agriculture, mining, factories; quite often to harvest or assemble products that we use everyday. It can feel overwhelming to consider that the last piece of fruit or chocolate we ate may have been picked by a childs hands, we know this is wrong, we know it’s an abuse of Children’s Rights, yet we can often feel helpless and powerless to change that. Today on International Day against Child Labour, The ILO are launching a new campaign calling for coordinated action to end Child Labour and promote healthy and safe workplace environments for young people (18-24). Alongside the Campaign there are other ways we can support the movement to end slavery and child labour. One very practical way of doing this is to continue to buy products with the Fairtrade mark on them during your shop. The Fairtrade Mark guarantees that the supply chain is free from slavery and the farmer and producers get a fair price for their work. Buying Local is also a great, practical way of ensuring children have not been exploited through the supply chain.